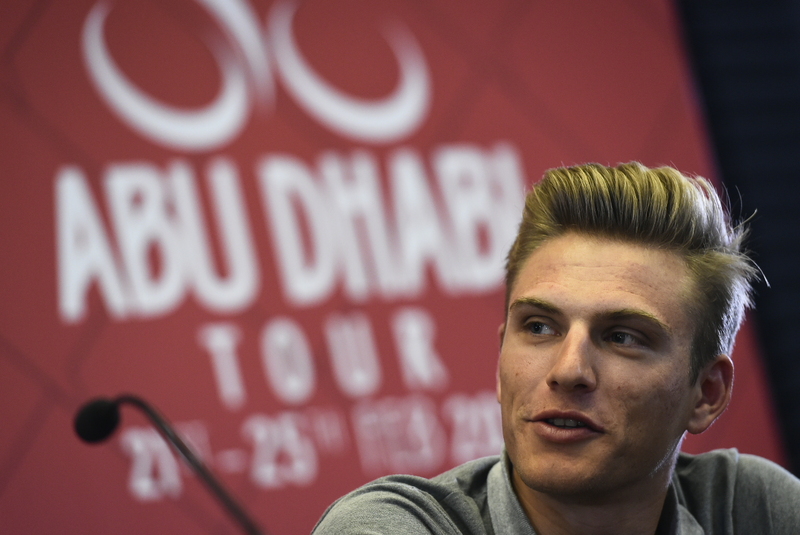 Abu Dhabi, 20 February 2018 – Eight representatives of the peloton at the start of the 2018 Abu Dhabi Tour spoke to the media this afternoon in the Yas Viceroy Hotel. 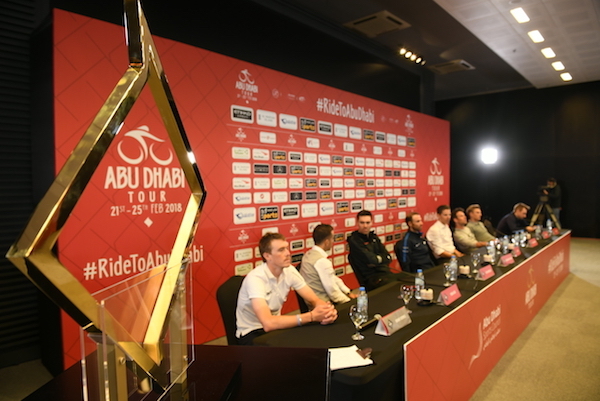 The high class bunch including Abu Dhabi Tour winner and defending champion, Rui Costa and his teammate Fabio Aru (UAE Team Emirates), Rohan Dennis (BMC Racing Team), Tom Dumoulin (Team Sunweb), Alejandro Valverde (Movistar Team), 2018 Dubai Tour winner Elia Viviani (Quick-Step Floors), Marcel Kittel (Katusha Alpecin), Mark Cavendish (Team Dimension Data), were joined by H.E. Aref Al Awani, Abu Dhabi Sports Council General Secretary. The official Start List is now available. Designed by famous Italian trophy and medal manufacturer GDE Bertoni, who is well known for the production of the FIFA World Cup, the Golden Grit is a 24kt gold plated trophy, weighing 4kg. Grit means ‘bravery’ but also refers to the sand: two elements which represent the race. The trophy is framed by a unique golden form. The Golden Grit is 47cm high and 40cm wide. 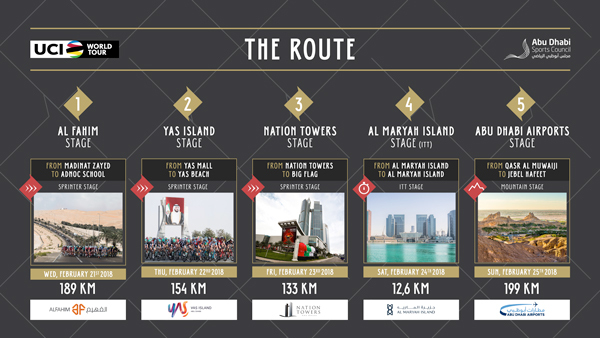 It will be awarded to the winner of the Abu Dhabi Tour’s General Classification. 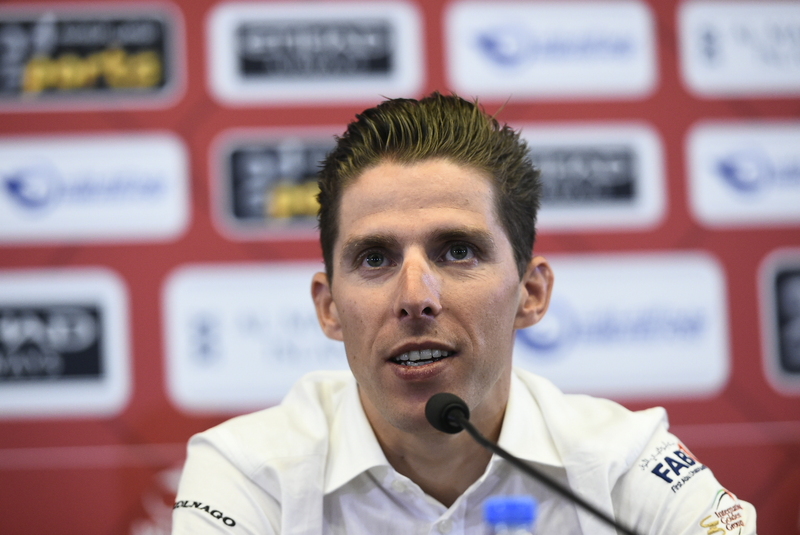 Bio: Born in Póvoa de Varzim, Portugal, 5 October 1986, Rui Costa is an all rounder with an impressive palmares that includes the 2013 UCI Road World Championship, three stage wins at the Tour de France and three General Classification victories at the Tour de Suisse, along with numerous one-day podiums. Last year Rui Costa won the Jebel Hafeet stage and the General Classification at the Abu Dhabi Tour. Bio: Cavendish was born on 21 May 1985 in Douglas, Isle of Man (British Isles). “Cav” has won 15 stages at the Giro d’Italia, a mighty 30 at the Tour de France, and three at the Vuelta a España. In 2011, in Copenhagen (Denmark), he became UCI Road World Champion, and boasts one-day-race successes such as Milano-Sanremo (2009) and the National Road Race Championships. 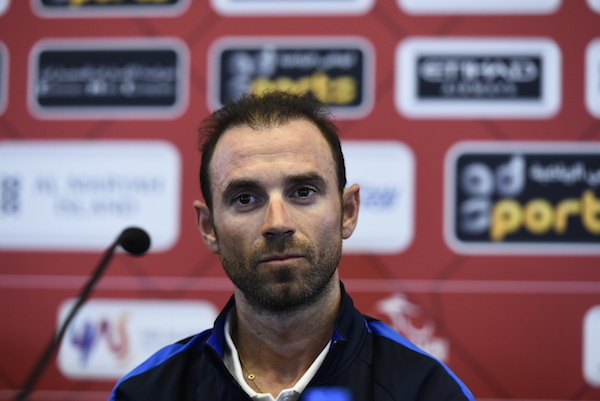 In 2016 Mark won the gold medal with Bradley Wiggins in the Madison at the Track World Championships; he took the opening stage of the Tour de France in a sprint finish at Utah Beach and put on the maillot jaune for the first time; then he won the silver medal at the Rio Olympic Games in the Omnium. 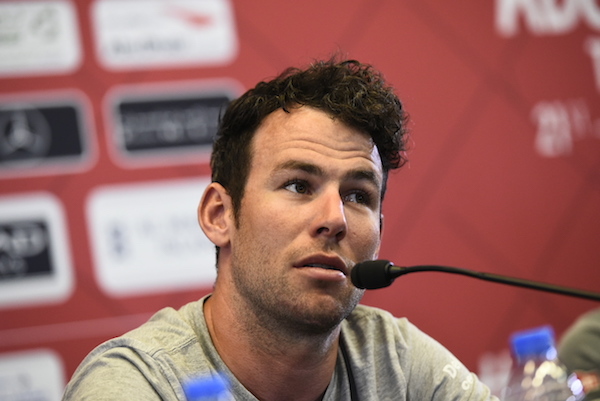 Cavendish has won three stages and two consecutive Green Jerseys at the Abu Dhabi Tour. 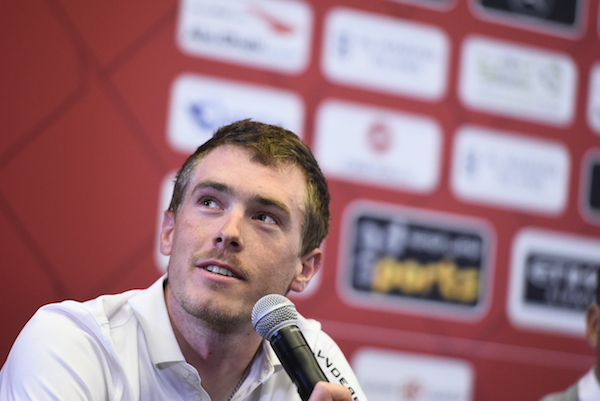 Bio: The triple and reigning Australian champion for individual time trial and former world hour record holder Rohan Dennis also used his background as a pursuit specialist on the track (Olumpic silver medalist and world champion) to perform against the clock on the road, win stage 1 of the 2015 Tour de France and become the seventh Australian to wear the yellow jersey. He also led the Vuelta a España after the inaugural team time trial last year. His time trial victories at Tirreno-Adriatico and the Tour de Suisse in 2017 make him a hot favorite for the first Abu Dhabi Tour including an ITT, especially on his favorite distance (12.6km) and on pan flat roads. 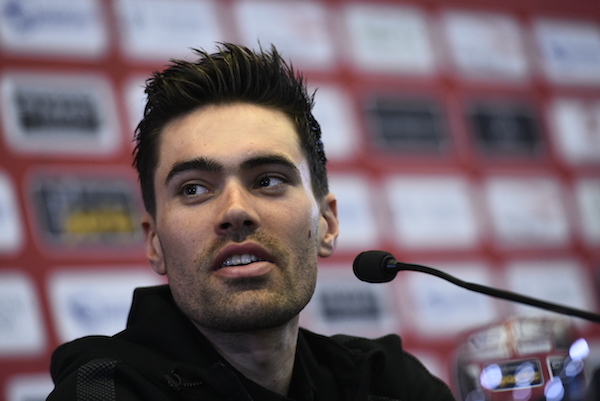 Bio: Born in Maastricht, Netherlands, 11 November 1990, Dumoulin found notoriety in his early career as time trial specialist before emerging as a great all-rounder. Last year he became the first Dutch cyclist ever to win the Giro d’Italia and, later that season, both the World individual men's time trial and the World team time trial Championships. His palmares features stage wins in all three Grand Tours (three at the Giro d’Italia, two each at the Vuelta a España and the Tour de France), and a silver medal at the Rio’s Olympic Games. 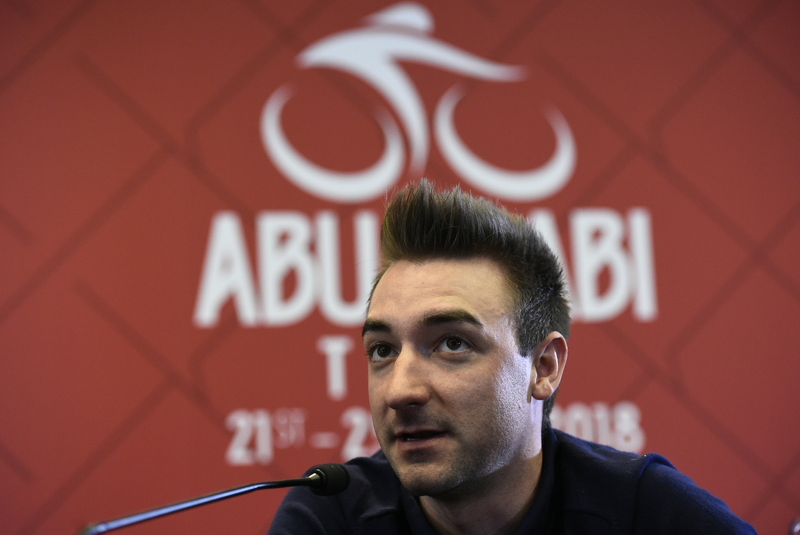 With the addition of a time trial to this year’s Abu Dhabi Tour, and considering his good climbing skills, Tom is one of the biggest favourites for the General Classification. Bio: Valverde, born 20 April 1980, is one of the most successful riders in the peloton with 90 pro wins since his debut in 2002 with the Kelme - Costa Blanca team. His palmares includes four Liège-Bastogne-Liège (2006, 2008, 2015, 2017) victories, five at La Flèche Wallonne (2006, 2014-2017), nine stages and one GC at the Vuelta a España and two editions of the Clasica Ciclista San Sebastian (2008 and 2014). Last year El Bala (‘The Bullet’) was out for almost six months after suffering a broken kneecap sustained in a Tour de France crash. He has already claimed a victory in 2018: stage two at the Volta a la Comunitat Valenciana. 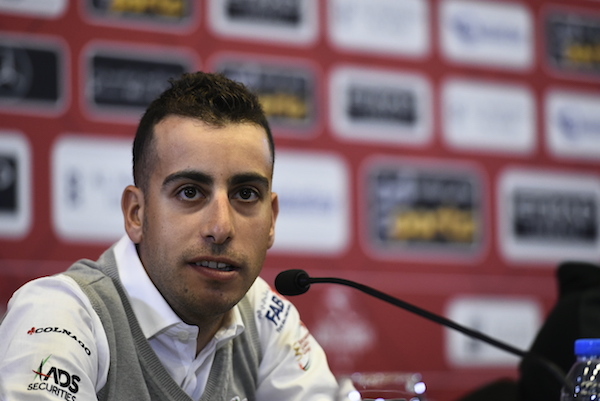 Bio: Born in San Gavino Monreale, a town in Sardinia, Italy, 3 July 1990, Fabio Aru is a climber and the overall winner of the 2015 Vuelta a España. He took to the Giro d’Italia podium in both 2014 and 2015, and was runner-up in the General Classification at the inaugural Abu Dhabi Tour. Last year, Aru wore the Tour de France’s Yellow Jersey for the first time and got a stage win at La Planche des Belles Filles. This is his first season with the UAE Team Emirates. Bio: Born on 11 May 1988 in Arnstadt, Germany, and a professional rider since 2011, Kittel’s palmares includes 86 victories, with one stage at the 2017 Abu Dhabi Tour alongside 19 Grand Tour stage wins (four at the Giro d’Italia, 14 at the Tour de France – five of them being in the 2017 edition – and one at the Vuelta a España). Bio: Viviani, born 7 February 1989, is one of the most accomplished sprinters in the peloton, having claimed 50 victories since turning pro in 2010. As well as being a talented road rider, Elia also has an admirable record on the track: five gold medals in the European Track Championships (Points Race in 2012 and 2013, Madison in 2014, Omnium in 2014 and 2015) and, in 2016, the gold medal at the Rio Olympic Games in the Omnium. In 2015 he won the Abu Dhabi Tour’s second and fourth stages and wore the Red Jersey as leader of the GC for one day. Last year’s wins include the Bretagne Classic - Ouest-France, and the Cyclassics Hamburg. Elia has already claimed few victories in 2018: stage three at the Tour Down Under and stage two, five and the General Classification at the Dubai Tour.